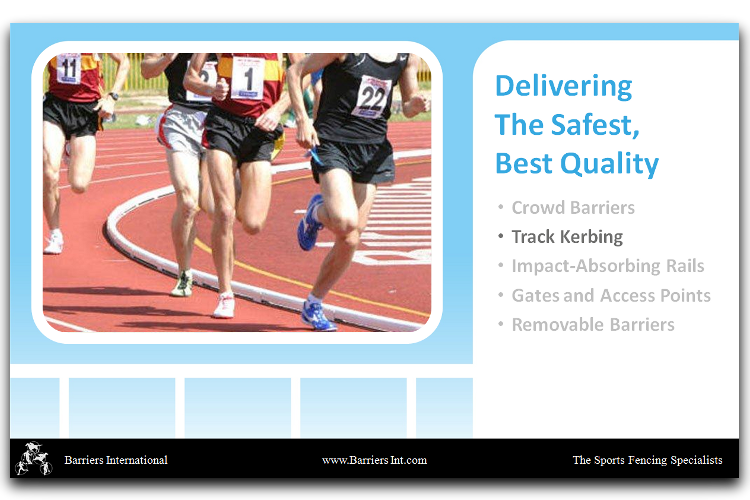 Barriers International design, manufacture and install the safest, highest quality sports barriers. 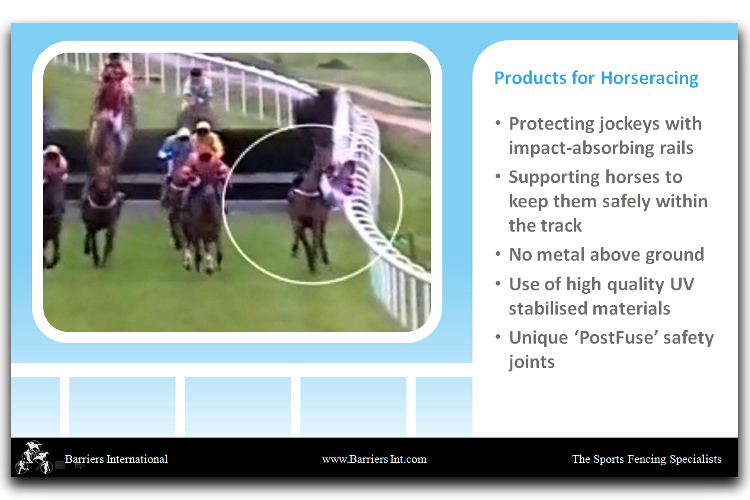 Their customers include many of the world’s best known stadiums, arenas and tracks. The Managing Director was concerned that their strong competitive advantage wasn’t being communicated consistently so asked us to prepare a set of PowerPoint slides that could be used at exhibitions, conferences and sales meetings. We quickly established that the main drivers for their customers are twofold: Complying with ever higher standards of safety and maintaining world-class venues. This gave us the basis for structuring the slides, as well as drawing out the product features and the approach to design, materials and installation that sets Barriers International apart. We created two variants of the presentation. The first – for use by sales people – is structured so that market-specific slides can be added or removed without breaking the flow. The second – a rolling display for their exhibition stand – is designed to grab and hold the attention of passers-by, delivering headline messages in a very short time. Since adopting the new presentation, the Managing Director has confirmed that it has been very well received and feels it is perfectly pitched to communicate their benefits at exhibitions and in supporting their sales staff.